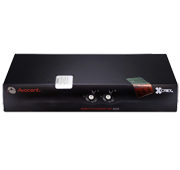 Consolidate access at the desk, at the rack or across the entire data center with the field-proven line of Avocent analog and digital KVM switches. Avocent solutions has been at the forefront of KVM development from the start, saving space and improving staff efficiency in leading companies across the globe. NIAP Common Criteria – Validated to EAL2+. Data Security – U.S. designed firmware allows only keyboard and mouse human interface devices (HIDs) to switch to the target computers. Data Security – Automatically clears the keyboard buffer immediately after data is transmitted through the switch, so no data is ever left in the switch. Physical Security – Provides visual indication and prevention of tampering. 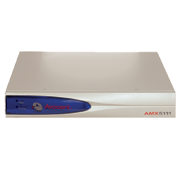 Switch Security – Locked memory prevents tampering and reprogramming of the firmware. 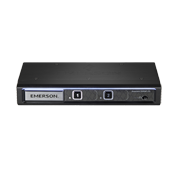 Secure Data Transmission – Two to four secure channels with 60dB crosstalk isolation to prevent data leaks between adjacent port. Desktop Management – Improves work efficiency and saves desktop space by eliminating redundant hardware and cables. Smart Card/Common Access card (CAC) Support – Allows the desktop IT administrators to only deploy a single CAC reader that will be switched to all target computers connected to the switch, saving money by reducing the amount of CAC readers purchased and time by reducing the number of readers. Cables CBL0090 USB keyboard, mouse & DVI-D video cable & audio - 6 ft.
Cables CBL0091 USB keyboard, mouse & DVI-D video cable & audio - 12 ft.
*Extended Maintenance Plans Available on all models, contact us for details. High Resolution DVI NIAP Validated to EAL4+ certification for Every Environment. 2 port, 4 port and 8 port models with single monitor support. 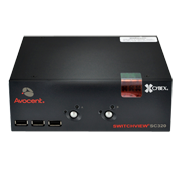 NIAP Common Criteria Certification – The SwitchView SC switch is validated to NIAP Common Criteria EAL 4+ security requirements. Data Security – U.S. custom-designed and loaded firmware. Physical Security – Tamper-evident tape: A visual indication of an attempt to gain access to the internal components of the switch. Appliance Security – Locked memory: Prevents tampering and reprogramming of the firmware. Secure Data Transmission – Two to eight secure channels. Secure Data Transmission – Each channel consists of its own unique processing data path. Desktop Management – Industry leading technology provides for seamless switching between channels. Streamlined access to essential business systems — Feature-rich desktop KVM, designed to streamline the desktop experience and enhance user productivity. Supports dual monitor, DVI-I, Display Port 1.2 or HDMI 1.4. Provides easy connectivity to external USB devices, quick data transfer and high-speed charging of mobile devices. SV 340 Cable - 6ft. CBL0120 USB keyboard, mouse & dual head DVI-I video cable with audio - 6 ft.
SV 340 Cable - 10ft. CBL0121 USB keyboard, mouse & dual head DVI-I video cable with audio - 10 ft.
SV 340D Cable - 6ft. CBL0124 USB keyboard, mouse & dual head DisplayPort video cable with audio - 6 ft.
SV 340H Cable - 6ft. CBL0128 USB keyboard, mouse & dual head HDMI video cable with audio - 6 ft.
SV 340H Cable - 10ft. CBL0129 USB keyboard, mouse & dual head HDMI video cable with audio - 10 ft. Streamlined access to essential business systems — Feature-rich desktop KVM, designed to streamline the desktop experience and enhance user productivity. Supports single monitor, DVI-I, Display Port 1.2 or HDMI 1.4. Selected models provide easy connectivity to external USB devices, quick data transfer and high-speed charging of mobile devices. SV220/SV240 Cable - 6ft.​ CBL0118 USB keyboard, mouse & DVI-I video cable with audio - 6 ft.
SV220/SV240 Cable - 10ft. CBL0119 USB keyboard, mouse & DVI-I video cable with audio - 10 ft.
SV220D/SV240D Cable - 6ft. CBL0122 USB keyboard, mouse & DisplayPort video cable with audio - 6 ft.
SV220H/SV240H Cable - 6ft. CBL0126 4-port desktop USB keyboard, mouse & HDMI video cable with audio - 6 ft.
SV220H/SV240H Cable - 10ft. CBL0127 USB keyboard, mouse & HDMI video cable with audio - 10 ft. The information you need right at your fingertips — Access up to four systems simultaneously and navigate between systems efforlessly. 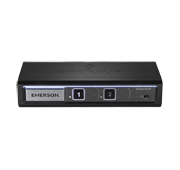 The Avocent SVKM switch provides real-time access to up to 4 systems at a time from a single keyboard and mouse. Selected models provide easy connectivity to external USB devices, quick data transfer and high-speed charging of mobile devices. Pre-set display configurations are easily modified for specific environments with a user-friendly administrator tool, enabling flexible assignment of USB devices for each user. SVKM120 Cable - 6ft. CBL0134 USB keyboard, mouse with audio - 6 ft.
SVKM120 Cable - 10ft. CBL0135 USB keyboard, mouse with audio - 10 ft.
​SVKM140 Cable - 6ft. CBL0134 ​USB keyboard, mouse with audio - 6 ft.
​SVKM140 Cable - 10ft. CBL0135 ​USB keyboard, mouse with audio - 10 ft.